Whether developing journal articles, book chapters, book proposals, book reviews, or conference proposals, this book will help you demystify the hidden structures and common patterns in academic writing and help you match your manuscript to the language, structures, and conventions of your discipline--be it in the sciences, social sciences, or humanities. "Most researchers will tell you that they chose their career to do research, not to write about it and writing makes them feel uncomfortable. Danelle Stevens expertly emphasizes the development of positive attitudes that defuse that discomfort. So, this book can benefit all young researchers as part of their apprenticeship and those many, established researchers who still feel uncomfortable when they face the inevitable task of having to tell the world what they have discovered." "In this practical, sympathetic guide for beleaguered academics who aspire to “write more, publish more, [and] stress less,” Dannelle Stevens offers five overarching principles, twelve information-packed chapters, eight useful appendices, and more than fifty illustrative charts, figures, and templates. 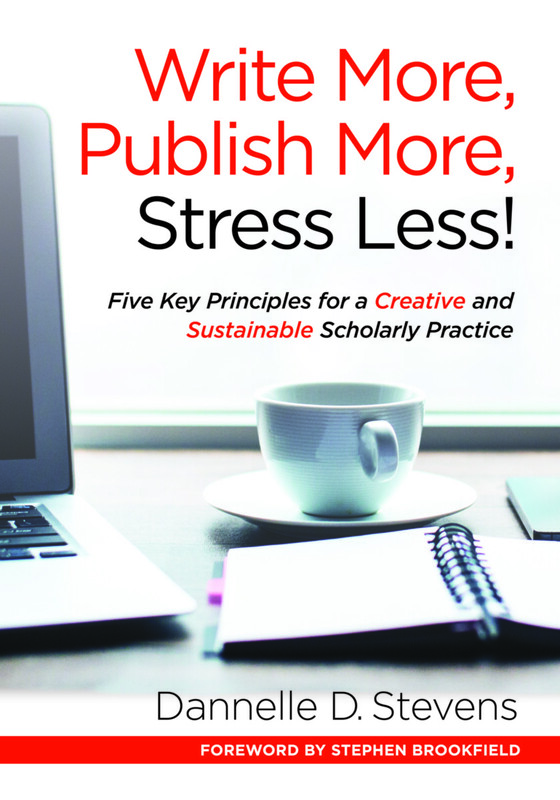 Whether your goal is to build a sustainable writing routine, to develop a nuanced critical voice, or to explore creative elements in your scholarship, this book will help you publish and flourish." "Veteran academic author and writing coach, Dannelle Stevens has created a comprehensive and practical guide that I can’t wait to share with authors. What makes this book different from the rest is the way Stevens helps readers understand academic writing as its own genre. Particularly helpful are exercises she outlines to help researchers understand the often unstated expectations about the structure and style of successful articles in their own fields." "HOORAY! Dannelle Stevens' new book is now available and it isn't just a book about writing and getting published but how to do so with less stress. The stress level in academic writing has increased to a point where too many people give up or must pay a price in their health, relationships, and other work. Dannelle offers practical strategies and advice that demystifies processes. She conveys trustworthiness; people will read and then integrate her ideas into practice." "Reading Dannelle’s book is like meeting with the kindest and most practical writing mentor you can imagine. Her tips and strategies are actionable and realistic, and her knowledge of the ins and outs of academic writing is unparalleled. Dannelle has been in the trenches and is generously sharing all she has learned to make our writing lives better. I highly recommend Write More, Publish More, Stress Less for academic writers at all levels." "As a first-generation faculty with no professional writing preparation, I’ve always felt like an impostor. Who would read anything I would write; how could I have anything of value to say? Bearing in mind the Five Key Principles, the practical guidance that will benefit any writer, and the call for self-reflection, writing this book review has helped crystallize my own thinking about writing – an opportunity to turn criticality into self-reflection and improvement. I wish I had this volume before." "Stevens delivers again! Following the pattern established in her previous books on rubrics and journal keeping, this text is extremely useful, immensely practical, and carefully grounded in sound scholarship. From the topics covered — such as how to foster creativity in academic writing or how to structure writing groups — to the numerous templates provided — for introducing an argument or for analyzing the structure of a text — Stevens’ book is a treasure trove, which stands to become a classic in the academic writing genre. A 'must try' toolkit!"